You shouldn't wear headphones while you bike. At least that's what I tell my kids. The fact is, when I'm biking alone, I always wear headphones. I used to wear the buds that come with your smartphone. 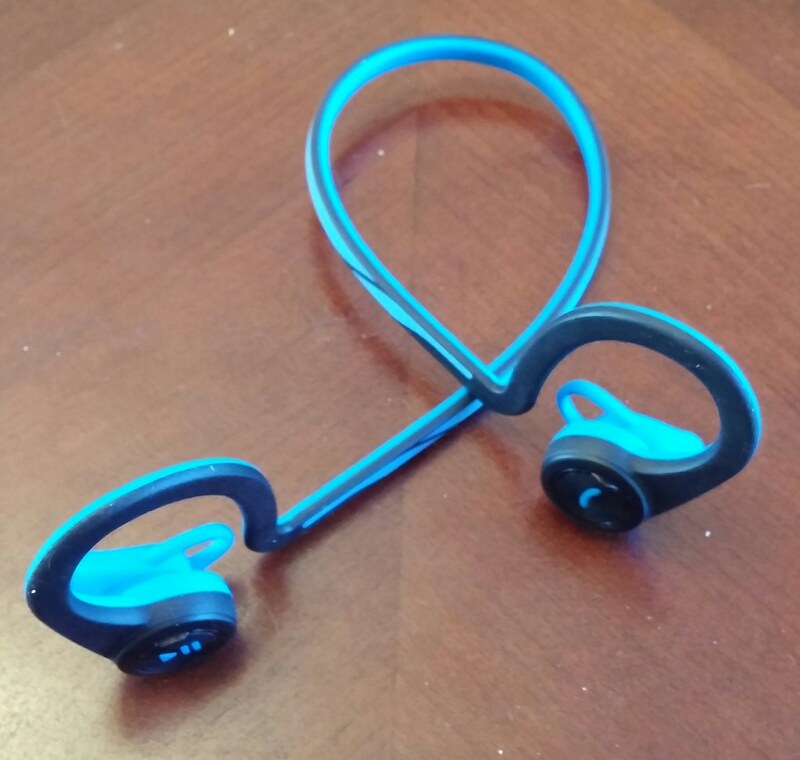 Then, for my recent birthday in June, my wife surprised me with a pair of Plantronics BackBeat FIT wireless stereo headphones. They're incredible. Firstly, they're wireless. This is awfully convenient. They connect to my phone via Bluetooth and I can bike a full week before needing to charge them. And charging them is as simple as plugging them into my laptop's USB port for a couple of hours. And they're not noise-cancelling headphones, so all the ambient noise like bells and honks and cars and people talking still get heard. This also makes them the safest headphones I've ever owned. On top of sounding great, it also has a microphone so I can answer calls by simply pressing the button over my right ear. There are plenty of convenient controls on this thing. And most importantly, it's designed for workouts, so it never falls out and is water resistant. I often forget I'm wearing it. My wife tells me she bought it online for $120 CAD. 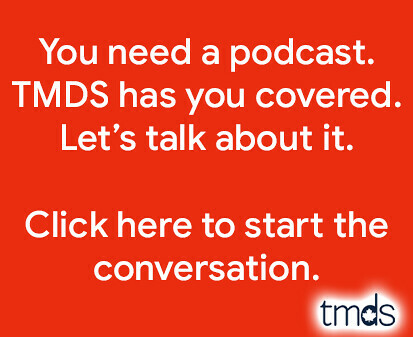 If you wear headphones while you bike and/or run, it's worth every penny. June 2015 was an amazing month for cycling. The temperatures were pretty ideal, there wasn't much rain until last weekend, and we even got new trails to ride. 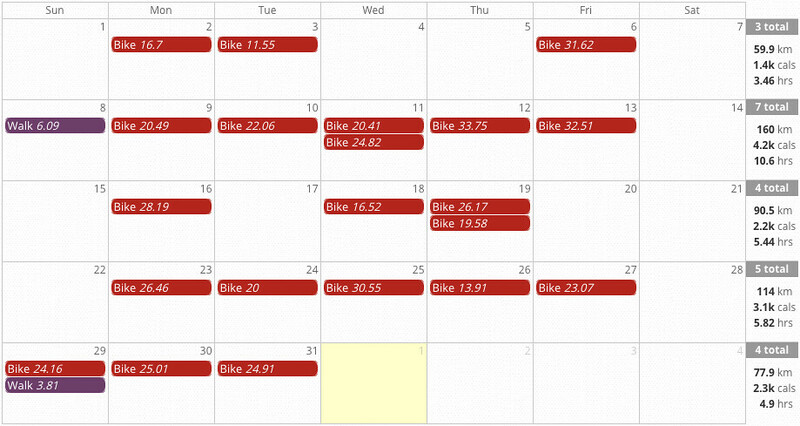 I rode more kilometres in June than I have in any other month of my life. 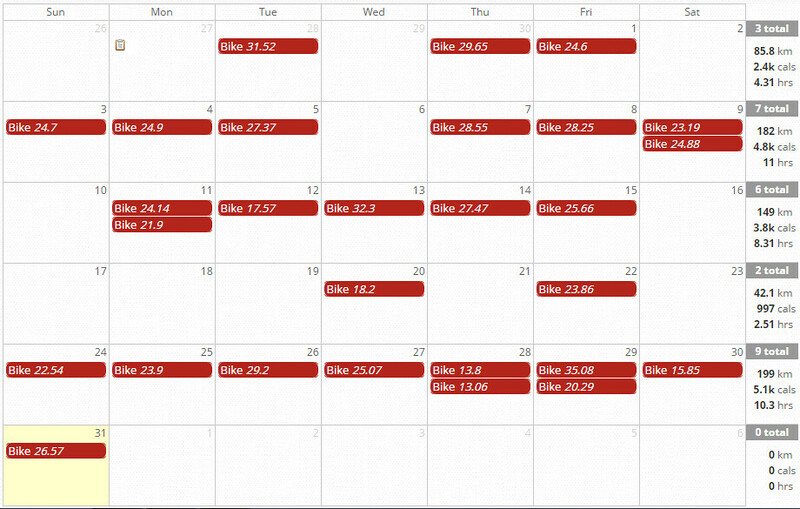 Here's how my cycling in June 2015 measured up against June 2014. My goal for 2015 remains a personal best 5,000 km. I'm currently at 3010.6 km with 6 months to go. Queens Quay Revitalization Project Complete! As you may know from reading this blog, I rediscovered my love of cycling a few years ago. A great deal of my riding is done on the Waterfront Trail, which runs along Lake Ontario. I know every nook and cranny of that trail. On the days I decide to ride east, I would always hit the Queens Quay construction at Bathurst, forcing me off the path. This has been the case for three long years, but the Queens Quay revitalization project is finally complete. 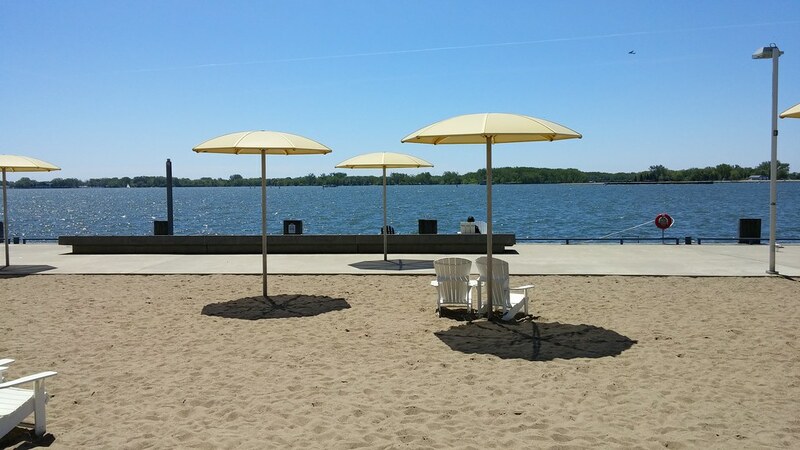 Earlier today, I rode the Waterfront Trail, which includes the Martin Goodman Trail, from the west end of the city to The Beaches (or is it The Beach now?). There were no detours or closures, and it was everything I imagined it could be. 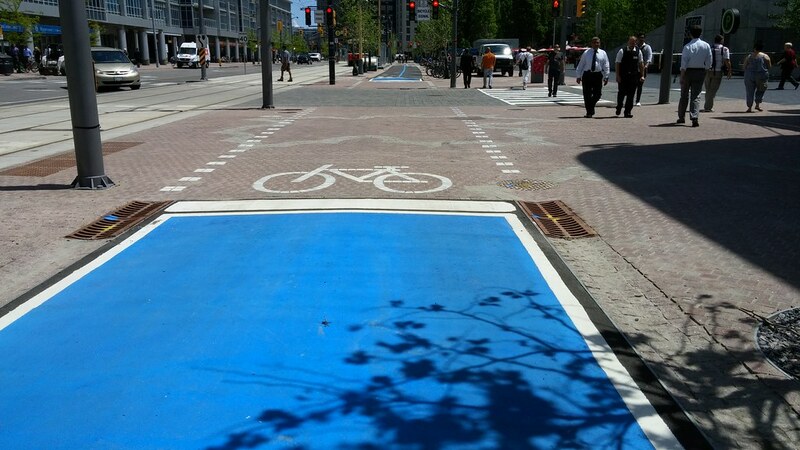 It's truly wonderful public space and ideal for cyclists. I haven't yet explored the new space as a pedestrian, but from what I see it's going to be a fantastic place to take the kids and soak in the sun. Here's a pic I took during a recent ride there. Full marks to everyone behind this revitalization project. It was well worth the wait. 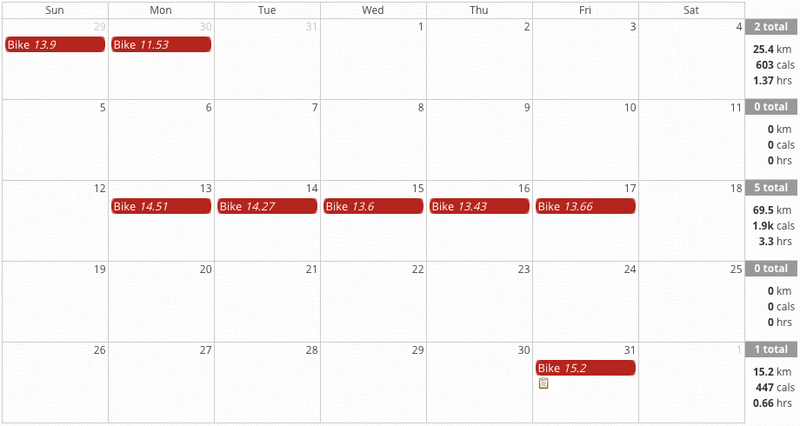 April was pretty awesome for cycling in Toronto. It warmed up considerably, was relatively dry and almost completely bug-free. 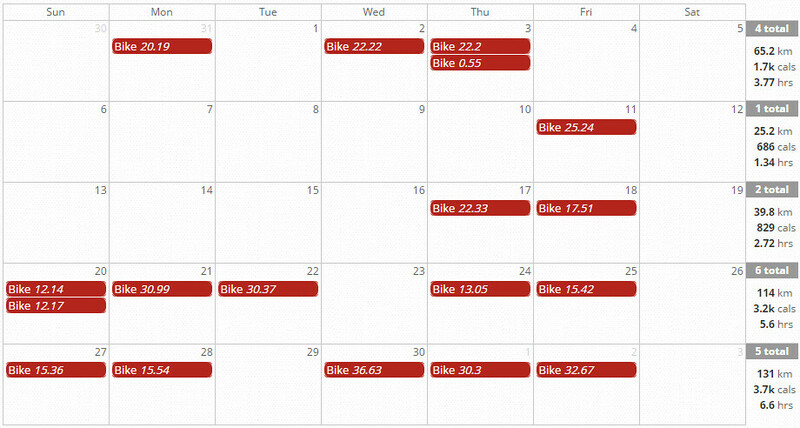 Here's how my cycling in April 2015 measured up against April 2014. In defence of April 2014, I was a little busy with the arrival of baby #3. My goal for 2015 remains a personal best 5,000 km. I'm currently at 1644.85 km with 8 months to go. Yes, March was unseasonably cold in Toronto, but compared to February it was paradise. 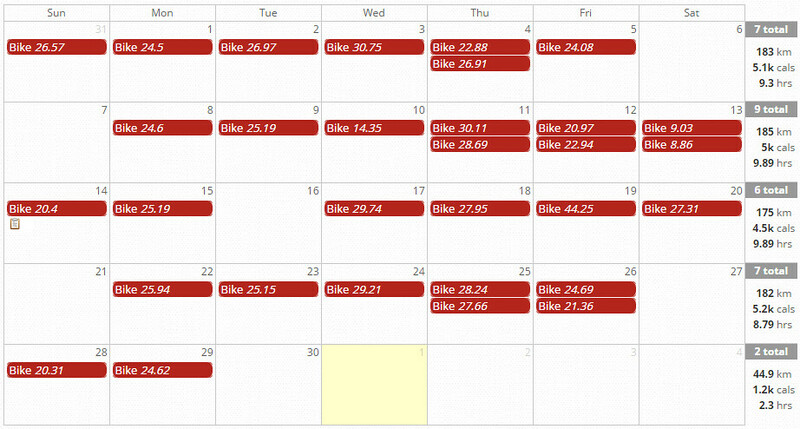 Here's how my cycling in March 2015 compared to March 2014. In defense of March 2014, I disappeared for a week to visit Germany. But there's no doubt I'm biking further, and after a terrible February, it was nice to complete a ride while still feeling my toes. My goal for 2015 remains a personal best 5,000 km. 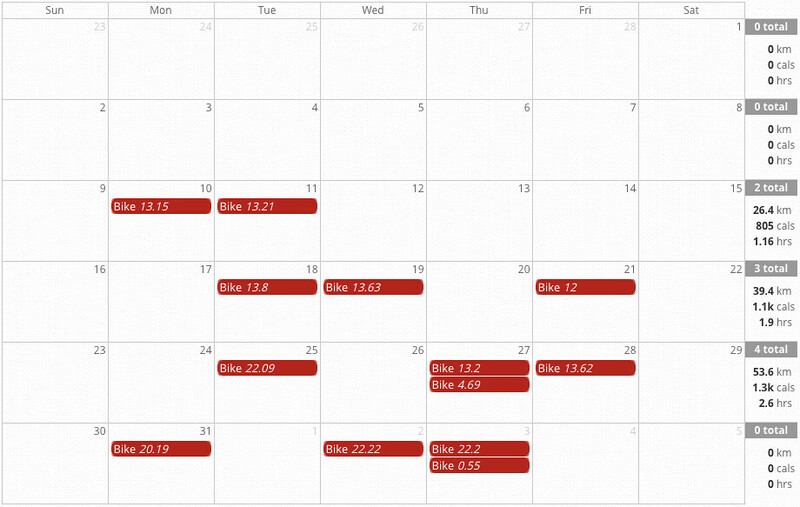 I'm currently at 1102.07 km with nine months to go, but the best cycling months are ahead of me. February was the coldest month in Toronto's recorded history, but trust me when I tell you last February wasn't much warmer and seemed to include more snow and ice. 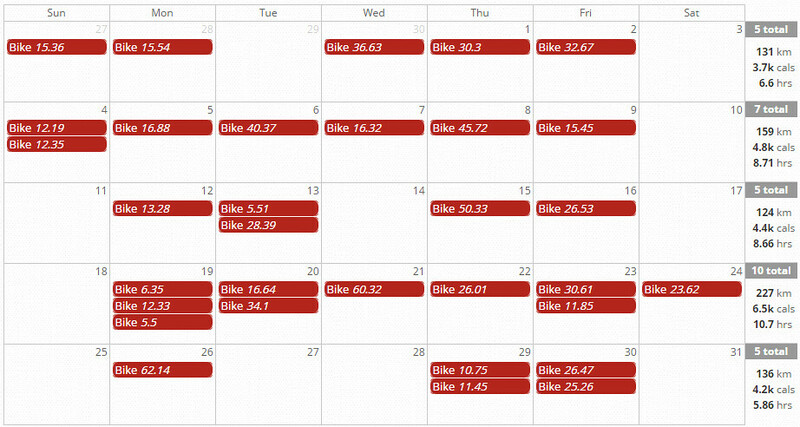 And the analytics tell me I managed to bike a great deal more this year. 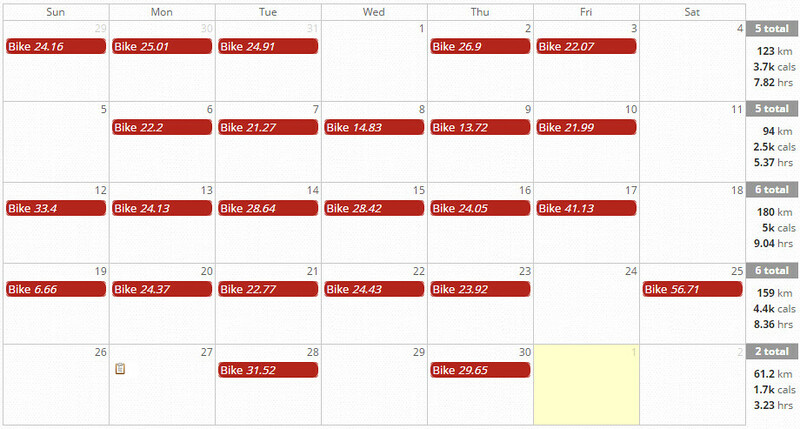 Here is how my cycling in February 2015 compared to February 2014. I'm chalking up this vast improvement to an improved mindset. Quite simply, temperatures I deemed too cold to bike in back in 2014 felt a great deal warmer this year. And the more winter biking you do, the more confidence and ability you gain. My goal for 2015 remains a personal best 5,000 km. I'm currently at 609.63 km with the worst two cycling months behind me. 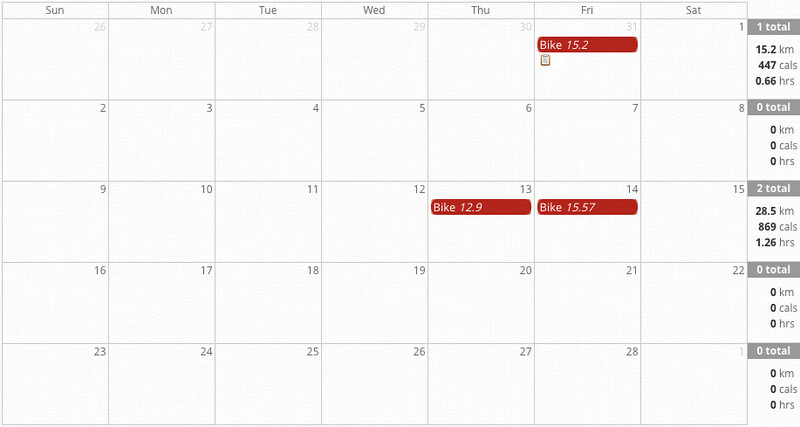 Recording all my bike rides allows me to get a little geeky and compare this year's me to last year's me. 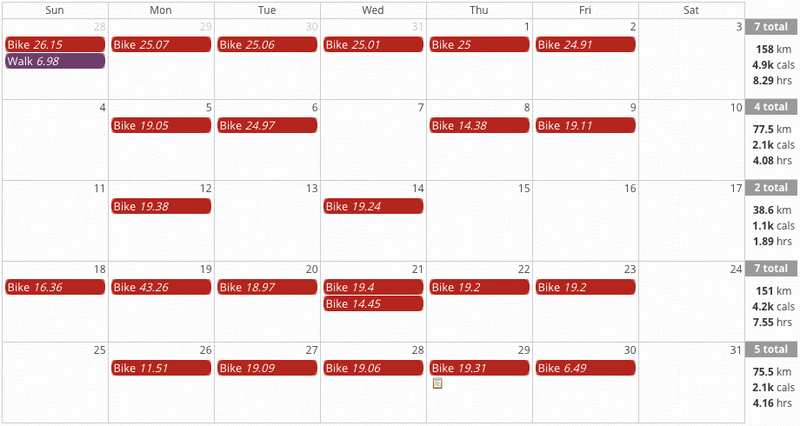 Every month I aim to ride further than I did the previous year. 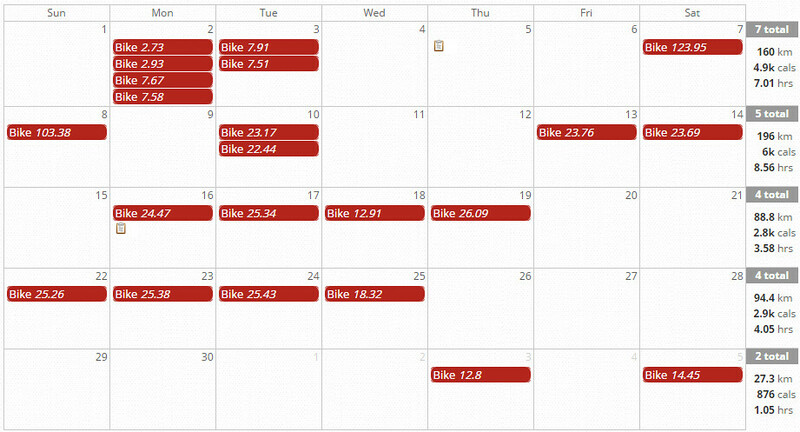 Here is how my cycling in January 2015 compared to January 2014. Last winter was absolutely horrible for winter biking. I wanted to get out every weekday, but only managed to ride six days total. 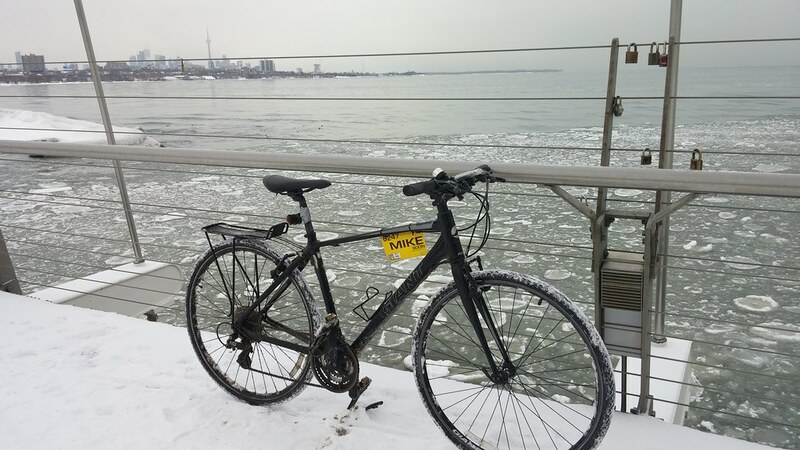 This year, January was pretty ideal for winter cycling in Toronto. My goal for 2015 is a personal best 5,000 km of cycling. I strapped on my GoPro for yesterday's bike ride. I wanted to show people how safe my route is, even when the trails are covered in snow. This winter, there have only been two or three days where one of the above was true. it's been a fantastic winter in Toronto for cycling. 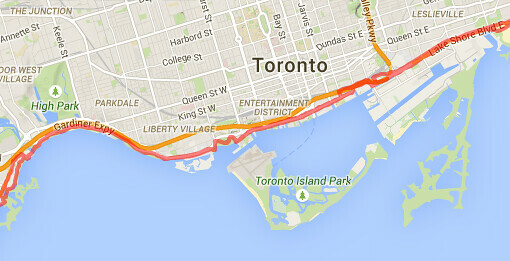 Here's yesterday's 20km ride along the Waterfront Trail in southwest Toronto and Mississauga.